We are successful in this business, because we are committed to customer satisfaction. 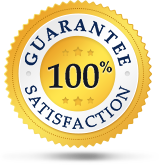 Unlike most other writing services, our work does not stop until a customer is happy and has approved the final draft of any product we deliver. This is why we have a strong policy regarding making revisions when customers are not completely happy with what they have received. Please review this policy, so that you understand how we approach requests for revisions. You may request revisions to any final draft of a product, and, so long as those revisions do not alter the original instructions on your order, they will be provided quickly and at no additional charge. If, in any way, your writer has missed some of the instructions that you provided in your original order, of course, these revisions are free and will be immediately accomplished. This is a rare occurrence, however, because our editing staff check all final drafts for conformance with client specifications. Sometimes, there has been a mis-understanding between client and writer about details of writing. If this happens, the customer is asked to provide all specific changes s/he want, and we will get them done. A customer always has the right to request a different writer to complete revisions, and we are happy to honor that request. If a request for revisions alters the customer’s original order instructions, this will mean additional new work for the writer. We will have to charge an additional fee in order to pay the writer for his/her time and work. If the customer’s original order instructions contained errors, and the customer requests changes that will correct those errors, there will be an additional fee. The first step is to review your final draft carefully. If you see something you want changed, request it before you take final delivery. There is a link to request revisions on your account page. Simply click it and specify the changes you want. You may also contact the customer support desk directly and specify your request. After you approve and take delivery of a product, you still have an opportunity to request revisions, if you do so within 7 days of taking delivery (for lengthier products, we allow 14 days). Please remember, though, that if those changes represent a change in your original order, additional charges will apply. No revisions are begun in these instances, until payment has been made. If you request changes after the 7 or 14-day time frame, your request will constitute a new order, and additional fees will apply. Because we delete all writing products after they are delivered, you will need to upload a copy of the product along with your revision requests. Deadline Issues related to revisions: Revisions without charge will be made quickly, so as not to impact your deadline requirements. If, however, those revisions mean a change from the original order and require payment in order for us to proceed, we cannot guarantee that we will meet your original deadline. The vast majority of our clients are happy with the first final drafts with which they are presented. But we do want to ensure that there is a procedure to obtain revisions that they may wish to order. If there is any part of this policy that you do not understand please direct your questions to a customer support representative.